The Smer-Social Democrats (Smer-SD) party of Prime Minister Robert Fico lost its majority and will have difficulties forming a coalition government, following elections held on 5 March. The new parliament will be extremely fragmented, with neo-Nazi and protest parties present, leading to speculation about early elections. EURACTIV Slovakia reports. 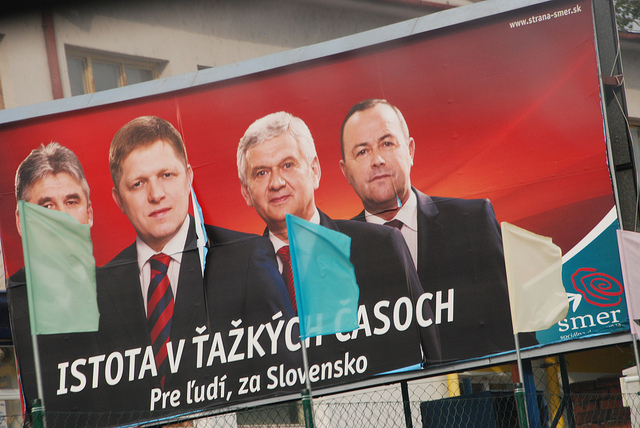 The results of parliamentary elections held on Saturday have taken Slovakia by surprise. With all of the votes counted, the party of Fico’s center-left SMER-SD emerged the strongest with 28% and 49 seats out of a total of 150, but that is well below what they expected and what some polls predicted at almost 40%. During the last 4 years SMER-SD, affiliated to the Party of the European Socialists (PES) , enjoyed comfortable majority of 81 MPs, unseen before within the representative political system in Slovakia. The law in Slovakia imposes a moratorium on publishing opinion polls for two weeks in the run-up to elections, which resulted in many other surprises during the election night. The right-wing opposition party of MEP Richard Sulík, Freedom and Solidarity (Sloboda a solidarita, SaS), emerged as the second strongest force, with 12% and 17 seats. Although calling itself liberal, SaS has left ALDE, which they said was federalist, and joined the European Conservatives and Reformist Group (ECR) founded by David Cameron’s Tories. Its leader is known for his euroscepticism and consistent attacks on rescue mechanisms in the eurozone. 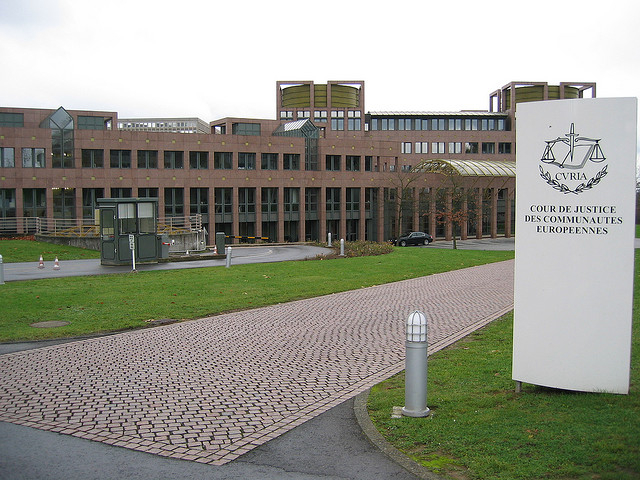 The refusal of SaS to vote for the strengthening of the temporary Eurozone bail-out fund (EFSF) in 2011 resulted into the collapse of the government of Iveta Radičová and the return of Fico to power. On the refugee crisis, for example, Sulík echoes Fico’s hardline stance. 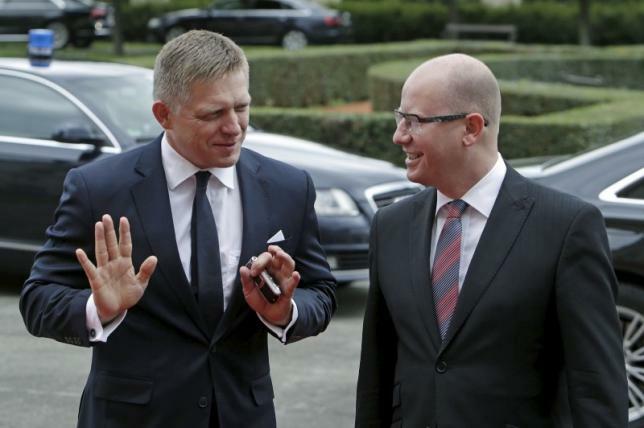 Politically, he excluded any post-election cooperation with Fico´s SMER-SD. Slovakia will launch legal action by next month against an EU quota plan to distribute 160,000 refugees and migrants across the bloc, a justice ministry spokeswoman told AFP today (24 November). Besides these two, six other parties managed to pass the 5 % threshold for entering parliament, making any possible coalition setup very difficult given the heterogeneity of the parties. Undoubtedly, the biggest shock of the election is the rise of the extremist and openly xenophobic far-right party Kotleba – Ľudová strana Naše Slovensko (Kotleba – People´s Party Our Slovakia) to the national level, with 8% of the vote. Their leader, Marian Kotleba, was surprising elected in 2014 as the head of Banská Bystrica Self-Governing Region. Likewise, no opinion poll has anticipated his party advancing towards the parliament. 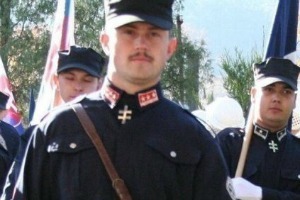 Marian Kotleba, a far-right politician notorious for his anti-Roma rhetoric and appearances in a Nazi-style uniform, has won the local election in the Banská Bystrica region of Slovakia by 55.5%, sending a shockwave to the political class ahead of the European elections. Another “protest party” elected is the very recently formed “We are family-Boris Kollár” (Sme Rodina – Boris Kollár), established by a wealthy businessman, generally known for having many children with different women, Boris Kollár, with no previous political experience. His party will hold 11 seats. The Nationalists Slovak National Party (Slovenská národná strana, SNS) has also returned to the parliament after four years. OĽaNO-NOVA, the second strongest opposition group, with 19 MPs, is a very heterogeneous mixture of politicians and individuals with no political experience, such as citizen´s activists, whistle-blowers etc. The final results have brought one of the biggest disappointments to a relatively newly formed party, #Sieť of Radoslav Procházka, seen by some as a future possible prime minister. The party was only able to secure 5.6 % of votes and 10 MP, with polls promising much higher outcome. In another surprising development, the last political party continuously active in Slovak Parliament since 1989, the Christian Democrats (KDH) have not made it to the parliament for the first time. Thus, the two mainstream European political families Party of European Socialists and European Peoples Party only managed to get together 60 seats in Slovak legislature. The only member of European People´s Party left in the Slovak Parliament is Most-Híd – Slovak-Hungarian party, with 11 MPs. The prevailing sentiment on Sunday (6 March) among the leading commentators and some politicians has been a feeling of shock at the unexpected emergence of extremists in national politics. Some blame the hardline anti-immigrant rhetoric of the ruling party in the refugee crisis that helped to raise votes for extreme parties rather than the established party campaigning with the line “Protecting Slovakia”. Some claim the reasons are more complex with the Kotleba´s party increased sophistication in the grass root campaign, a general feeling of alienation and frustration in the population from mainstream politics and scoring strongly among the young first-time voters. The coalition talks are set to be extremely complex. While the media and observers see several scenarios, including a caretaker government under the leadership of Miroslav Lajčák respected diplomat and current foreign minister, the problem is, that all of them are bound to be extremely fragile given the fragmentation. The possibility of holding an early election does not inspire much optimism either. Relatively popular President Andrej Kiska might play a pivotal vote in the next days and weeks of negotiations. Robert Fico will get the first shot at forming a government. He has not excluded any party from possible cooperation. Richard Sulík of SaS says he is ready to try it, in case Fico fails to deliver. 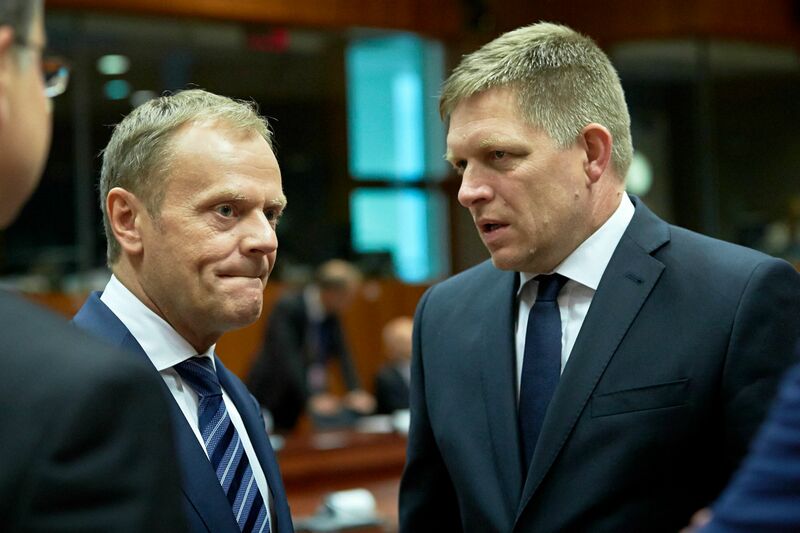 Many of the scenarios pose questions regarding the looming Slovak Presidency of the Council of the EU, beginning on 1 July. Many have anticipated that not much will change in Slovakia, with Robert Fico being able to comfortably stay in the prime minister’s office, taking on one junior coalition partner. The voters distributed the cards much differently, however. Regardless of future developments, the predictability of the new government on European issues is probably set to diminish, with stronger Eurosceptic voices gaining higher prominence.